Is it early season stoke or do locals from Squaw Valley USA just go that much harder than everyone else? Last week 45 inches of fresh Sierra snow covered the upper mountain leading into the weekend. Saturday the mountain was held back with chair and terrain openings due to high winds but this was truly a blessing in disguise. 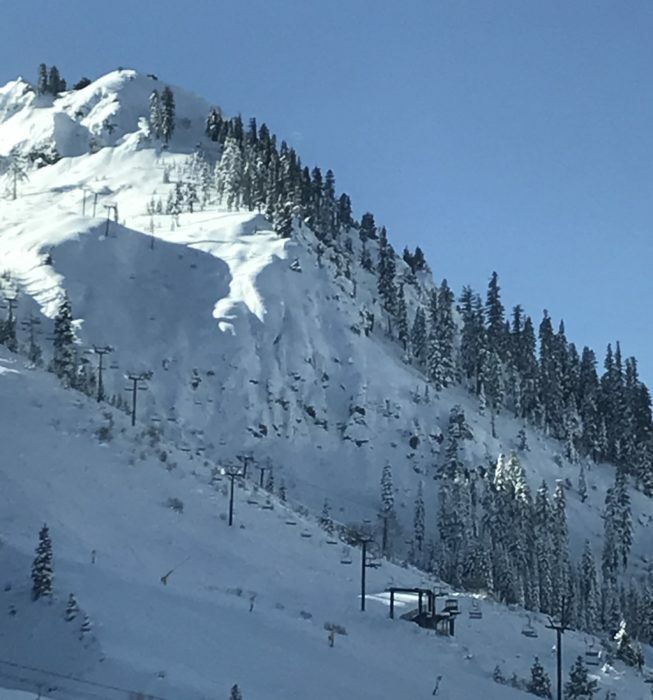 The clouds and wind cleared away and on Sunday we saw Squaw Valley’s first bluebird powder day of the season and it was a big one. Let’s start from the beginning. With a patrol hold on Siberia chair, all eyes moved to Mainline Pocket with hiking access from the top of Gold Coast. Minutes after opening multiple lines had been bagged and tagged with some great falls in the mix. Far Right Rock couldn’t have been any larger but it didn’t stop about a dozen or so skiers from making the leap. The real show started with Siberia’s first opening of the season. The classic Squaw Valley line of Cool Guy Rock to Kangaroo Kicker was on everyone’s mind except this time the locals decided to step it up a notch. After a few big and lofty backflips were put down on the world’s best natural kicker, Kangaroo, we saw our first double backflip. Seconds later there was another, followed by another and then the day continued with an endless line of double backflips and flat spins. Josh Gold gave the crowd quite the show with a nearly perfect attempt on a triple backflip. Inches from stomping he rode out with a solid cheer from the masses. When all was said and done Kangaroo Kicker saw more than a dozen double attempts and even more laid out lofty tricks. 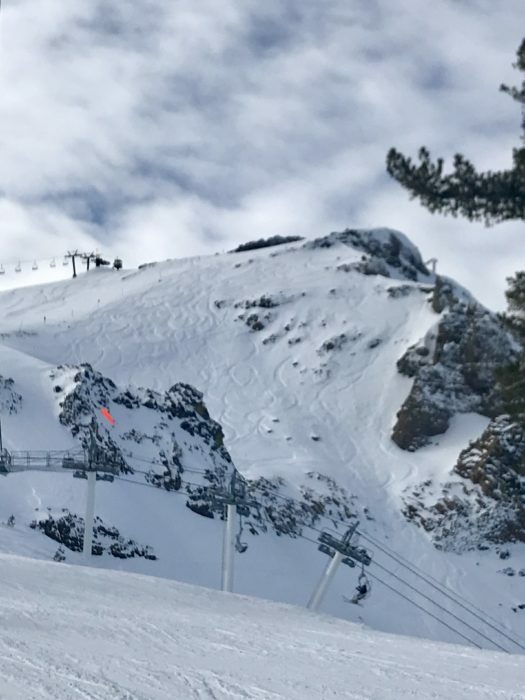 Squaw Valley did a great job the remainder of the day and on Monday to open up more terrain. Reverse Traverse to North Bowl, Headwall, The Slot and C2 skied fantastic both days. On Monday a few lucky riders took advantage of runs down the Palisades and Broken Arrow before ski patrol closed them off. The Funnel opened up with hiking access from Gold Coast and the Pocket skied extremely well despite having been ridden hard the previous day. 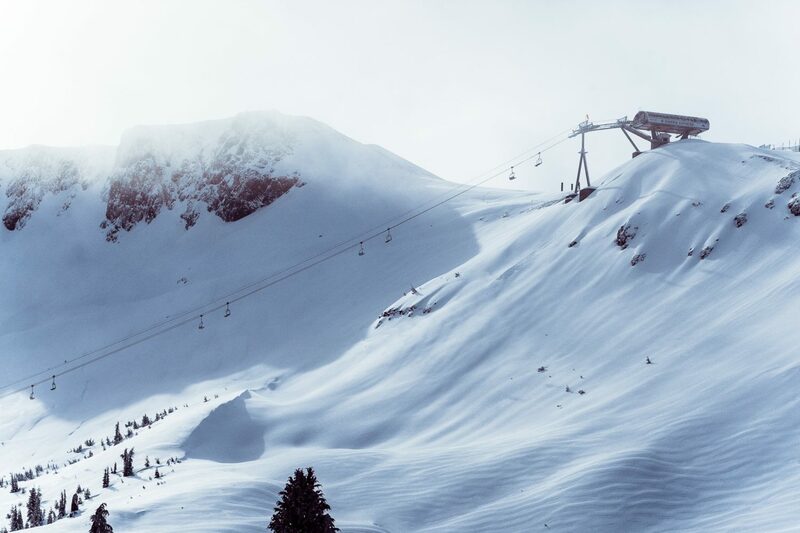 Sun Bowl opened mid-morning on Monday and had some fantastic hero pow. The Game of Squaw just got bigger, about DOUBLE the size. With a few more inches on the way be prepared for another big showing this weekend.